(Family Features)—Apprehension and inexperience keep many homeowners from pursuing renovation projects that would make their homes more functional, enjoyable and comfortable. Getting your hands dirty on the front end—with some planning and preparation – is the best blueprint for a successful home remodeling project. To help you start your remodel on the right track, consider these tips from Gary White with JCPenney Home Services. Although it may sound obvious, the first step really is to decide what you hope to accomplish with your renovation. At the least, begin to outline rough ideas to discuss with an expert. Reaching out to contractors before you’ve determined a basic idea for your project can waste time and money. Spend time listing the features you must have, as well as some nice-to-haves if budget allows. Also think about overall functionality, design and layout. If you get overwhelmed or need ideas, don’t hesitate to turn to online showrooms or magazines for inspiration. If the sky is the limit, skip ahead, but if you’re like most homeowners, money matters. Have a clear idea of what you can afford to invest in your renovation before you get started, and if necessary, research the financing options available to you. Look for financing that provides deferred interest or low monthly payments to help manage the project cost. Setting a clear budget can help keep your contractors accountable, and it goes a long way toward ensuring you can enjoy your finished project without regret. To help set your plan in motion, there are numerous online tools you can utilize to simplify each step of the process including design, budgeting and more. 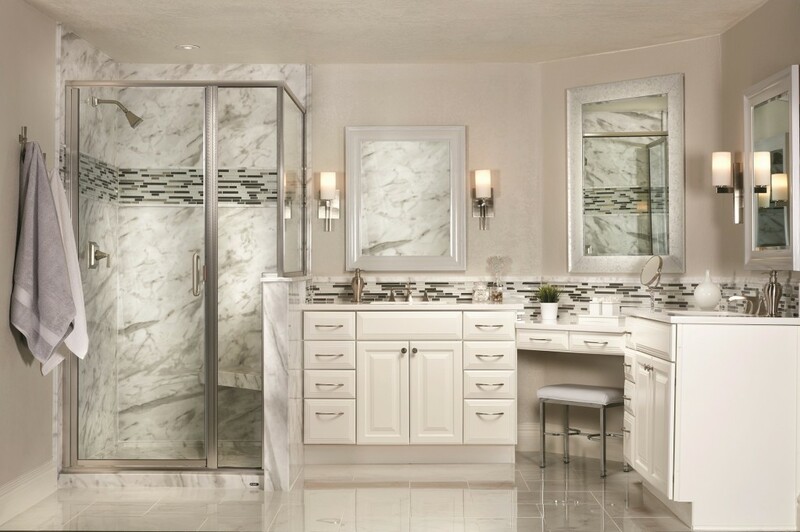 If you’re planning a home remodel, it can be helpful to find a comprehensive resource that offers a one-stop-shop for bathroom remodeling, countertops, custom window treatments, flooring, heating and cooling, water heaters and whole-home water treatment. Unless you have the time and skills, you’ll want a licensed and insured contractor to lead the project when you’re ready to get your renovation in motion. It can be wise to solicit multiple bids, not only to ensure you get the best value, but also to find someone whose work, style and experience is most in line with the needs of your project. After all, this person will be a big part of your life during a fairly stressful time period. Always check references and verify the contractor’s standing with local associations. In addition to its distinctive beauty and classic elegance, granite is also extremely durable. Granite is highly resistant to heat and scratches and, with proper sealing, offers good water and stain resistance and is easy to clean. It’s an engineered product made mostly from up to 93 percent quartz, a non-porous natural stone, combined with a small amount of binder and color. Small particles of glass or reflective metal flakes can also be added to some quartz designs to achieve a more unique look. The result is an attractive slab that can be made in a wide variety of tones and colors, and can be finished to duplicate high gloss polished stone. Quartz is one of the most durable countertop materials and one of the easiest to maintain. It is highly resistant to heat, water and stains, including stains from coffee, wine, lemon juice, olive oil, vinegar and more. 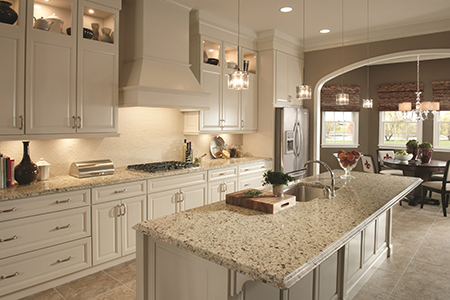 Unlike granite, quartz does not need to be sealed, making it easier to maintain over time.